I am very pleased with the entire process. The products available fit my need perfectly. Once the order was placed, I received shipping notice in less than 24 hours. The products were received quickly and were well packaged. They were just what I expected and performed well. Fast, sound advice on what I needed. Placed my order early evening, and before midnight had the shipping details. Package was on its way the next day. 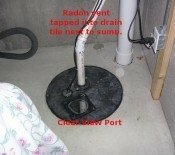 My radon fan became so loud that I had to turn it off at night in order to be able to fall asleep. I am very grateful for the great price for the replacement fan and the lightning speed of your shipment. It arrived today, and I have already installed the new fan. Val was a great help. He responded to my e-mail and even called me on my cell to help me make sure I was getting the right radon fan. The fan arrived even faster than I expected and the installation was easy. 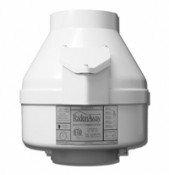 Indoor air health advisor helped me save short and long term costs for my radon fan. I was going to order a larger fan than necessary until I found this company, whose owner spent the time to evaluate my situation and recommend the correct fan. My radon level went from 20 to 0. Val helped greatly to design my french drain based system. He answered questions timely and expertly. It was only 2 hours from the time I placed my order to the time I got a tracking order number! Great service!